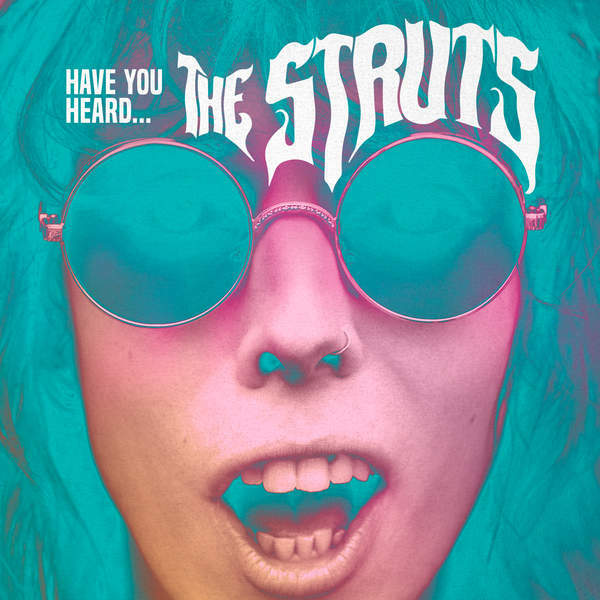 In the short period since that time, The Struts have invaded the ears and hearts of Americans nationwide. “Could Have Been Me” has amassed over 2.5 million plays on Spotify, hitting #1 on Spotify’s viral chart, and it is still rising on Billboard’s “Rock Airplay” and “Hot Rock,” “Alternative,” and “Mainstream Rock” songs charts, where it currently lies in the 8th, 24th, 8th, and 14th positions. To further the buzz, The Struts premiered an exciting new music video for “Could Have Been Me” today and will be making their American television debut tonight (8/20/2015) on Jimmy Kimmel Live! If it feels like things are moving fast for these British rockers, it’s because they are: The band released their American debut EP last week, the four-track (and aptly titled) Have You Heard, along with an official announcement for their first stateside tour – including already sold out shows in New York, DC, and Chicago! The brightly toned, psychedelia-influenced album art of The Struts’ “Have You Heard” EP is a testament to the band’s multigenerational, crossover appeal. The Have You Heard EP could not be more appropriately named. Assuming and elevating, it captures that fast-paced, in-the-moment fervor of The Struts’ furious establishment and escalation. The title is also reminiscent of certain forebears in the ‘British invasion’ canon: Introducing… The Beatles was The Beatles’ first American release, and England’s Newest Hit Makers was The Rolling Stones’ equivalent. Such stratospheric comparisons to rock music’s legends feel premature and inappropriate *at first,* but the parallels between these bands’ meteoric rises are undeniable. This is the big break the band have been waiting for: Despite a heavy 2014 tour schedule (which included a Paris gig opening for The Rolling Stones), the band’s explosive full-length debut Everybody Wants, released exclusively in the UK July 2014 via Virgin EMI Records, managed to peak at 52 on the UK charts. Not bad for a band’s debut, but also not good enough – not for this band, at least. Yet perhaps that’s why they’re refocusing now on the American market: Crossing the Atlantic is how British bands become legends, or so the story goes. Have You Heard offers anthemic, high octane guitar-driven rock in the form of four songs off The Struts’ previous record: “Could Have Been Me,” “Kiss This,” “Put Your Money On Me,” and “Where Did She Go.” The band’s obvious connection to classic rock greats like Queen and The Rolling Stones would otherwise create a sense of nostalgia about their music, but The Struts push right on through that, opting instead for an electrifying realm of aural possibility. The Struts set their sights on glory long ago. “Kiss This” gives us a taste for guitarist Adam Slack’s knack for crafting catchy riffs, not to mention bassist Jed Elliott’s John Paul Jones-like ability to perfectly fill the empty spaces. “Put Your Money On Me” features a beautifully full overdriven guitar tone that will set your ears ablaze before motivating you to bob your head and stomp your feet with its delicious beat. “Where Did She Go” closes the EP off with an instantly memorable, gigantic chorus about the love who ran away. 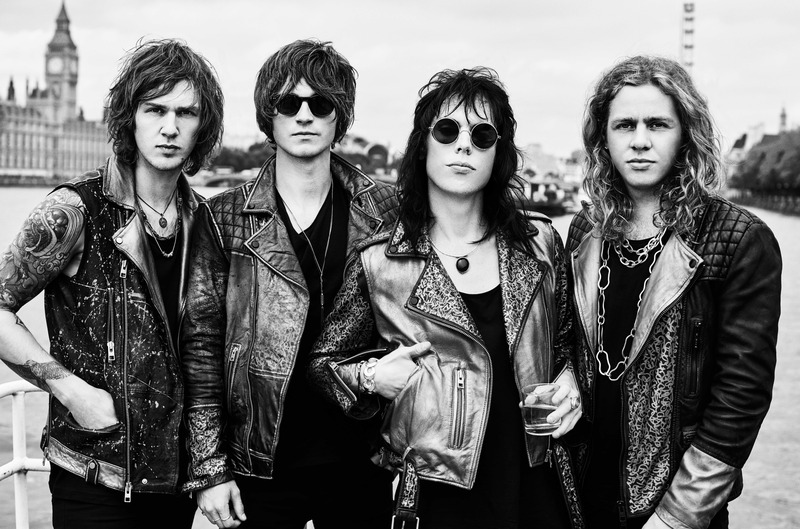 If The Struts are the next British Invasion band, bring ’em on! Interscope Records scored big by shepherding these boys – and being only in their mid-twenties, The Struts most certainly are “boys” – into the American market. They’ve got all the makings of a classic rock outfit, yet their electric edginess makes the Struts most certainly a new phenomenon. It’s refreshing to experience this brand of rock music in the twenty-first century. Meet your next favorite band.